As the South Brooklyn community is wrapping its collective head around what New York City Department of City Planning's proposed Gowanus up-zoning will mean to an environmentally challenged neighborhood, Pardon Me For Asking thought it worthwhile to take a look at the members of Community Board 6, who will cast their vote on either approving or disapproving the plan. 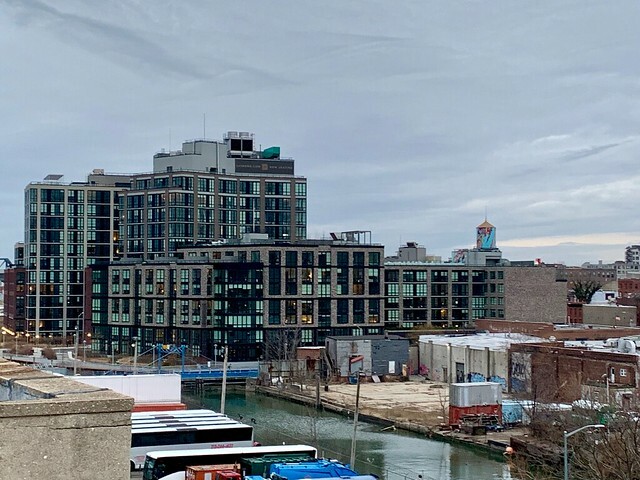 What is proposed in Gowanus is the largest of the recent rezonings on the smallest footprint in the City and will alter this low-rise industrial neighborhood forever by allowing 22-30 story residential buildings along the banks of its iconic canal. It would not be an overstatement to say that this issue is one of the most important many of our board members have ever voted on. Though the Community Boards of New York City are strictly advisory, some wield more power than others on matters of importance to their community. They are our "local non-partisan interface to the many offices and agencies of City government." In the case of Gowanus, we need to make sure that CB6 members thoroughly understand the environmental issues in Gowanus, are free of conflicts of interest, and truly represent the voice of the community, and will cast a vote free from pressure from the Councilmembers who put them on the board. In all, there are 50 members of CB6, representing Carroll Gardens, Cobble Hill, the Columbia Waterfront, Gowanus, Park Slope, and Red Hook. The Board's members are appointed by the Brooklyn Borough President, with our Councilmembers Brad Lander, Carlos Menchaca and Stephen Levin, making recommendations. 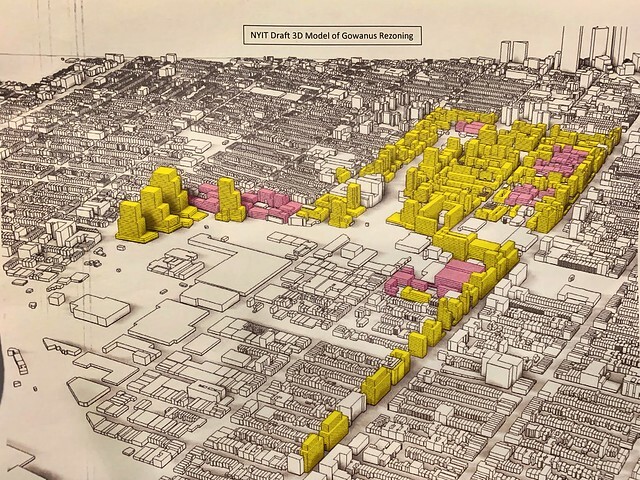 As part of the Uniform Land Use Review Procedure (ULURP), the public review process any New York City rezoning needs to go through, members of CB6's Landmark/Landuse Committee will first cast their vote and make a recommendation. The full board will then cast a vote on the matter. -the area is a FEMA Flood zone A with mandatory evacuation. -the actual EPA Superfund clean-up of toxic material at the bottom of the Gowanus Canal has yet to start. -The City still has to build two EPA-mandated Combined Sewer Overflow tanks to capture raw sewage that it currently dumps into the canal. -the infrastructure in Gowanus is currently insufficient or crumbling. 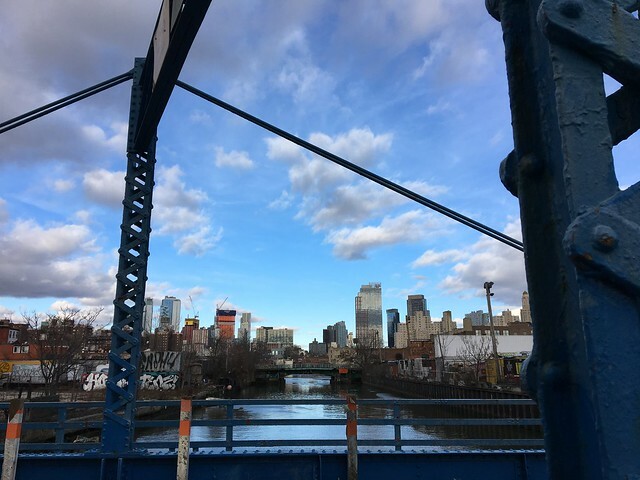 In addition, despite the participation of local residents in Councilman Brad Lander's Bridging Gowanus visioning process, this re-zoning plan guarantees few of the things that the community really cared about: artists lofts, maker spaces and parks. How exactly the area will accommodate thousands of new residents when our sewer treatment plants, schools and subways are already near or over capacity remains a question that needs to be answered honestly first. Please take a look at the list of board members. if you know any of them, please engage them (respectfully) in conversation on the matter. If not, take the time to get to know a few. Help identify those who may own land in Gowanus, are developers or those who work for developers in Gowanus and may have a conflict of interest. This is simply too important of an issue. Let us all enter into this rezoning with knowledge, integrity and honesty. ***For full disclosure, my husband Glenn Kelly is a board member. Let us also remember that not a single vote any Community Board ever casts holds any official weight. Dayenu. Before we add more people to this neighborhood, we need a commitment from the city to build more schools & playgrounds, expand the subway stations (the platforms are already too crowded), as well as more playgrounds, dog parks, public spaces, and street trash bins. People don't just stay in their little boxes! I've never quite understood the rationale for this rush to send new residents to Gowanus before the canal has been cleaned. It's bad enough for the residents there, but is the idea that now that tens of thousands more people in gleaming taller buildings are coming in, NOW we can act on a superfund site, the most polluted waterway in the entire country? Really puts the NYC real estate market into perspective. As someone who knows and understands the system, you know the any vote of any Community Board is purely advisory and carries little to no weight with NYC council members unless that vote can be used for political gain. Listing CB members will not change a vote, nor will it change the position of the NYC Council member(s) from that district. You should be preparing your testimony for the hearings that count, in front of the NYC Council Zoning committee. And you would be well advised to remember that 1) NYC is constantly, for better or worse changing and 2) that the well written of spoken words of committee members can and will be drowned out by the vision of developer's dollars. As I mentioned in the post, some community boards have been more outspoken and wielded more power than CB6. Though many of CB6’s members are dedicated and try to learn about the issues that are put in front of them for a vote, many are chronically late to discussions or absent most of the time. We need to make sure that all members know what the rezoning would mean to Gowanus and know about the environmental challenges. If we don’t try to engage them, it is a missed opportunity.